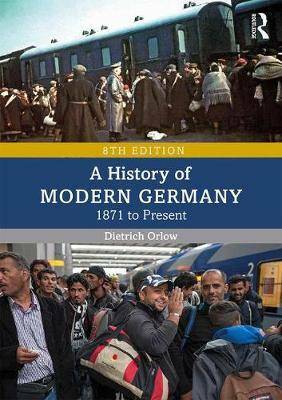 A History of Modern Germany is a well-established text that presents a balanced survey of the last 150 years of German history, stretching from nineteenth-century imperial Germany, through political division and reunification, and into the present day. Beginning in the early 1870s and covering topics such as Wilhelmenian Germany, the World Wars, revolution, inflation and putsches, the Weimar Republic, the Federal Republic and the German Democratic Republic, the book offers a comprehensive overview of the entire period of modern German history. Fully updated throughout, this new edition details foreign policy, political and economic history and includes increased coverage of social and cultural history, and history `from the bottom up', as well as containing a new chapter that brings it right up to the present day. The book is supported by full discussion of past and present historiographic debates, illustrations, maps, further readings and biographies of key German political, economic and cultural figures within the Im Mittelpunkt feature. Fully exploring the complicated path of Germany's troubled past and stable present, A History of Modern Germany provides the perfect grounding for all students of German history.